Ever wanted to save a life? Here’s your chance to be ready. A host of British Columbia’s health organizations have banded together to offer free group lessons in CPR and the use of automatic debrillators. The great BC CPR teach-in happens in 40 communities across the province today (June 1). Richmond residents join the rest of Metro Vancouver at Robson Square. The classes are hourly from 11 a.m. The last one starts at 6 p.m.
It’s a chance to learn, to laugh and prepare to save a life with 100 of your new closest friends. New studies show that doing CPR, formally known as cardio pulmonary resuscitation, gives heart attack patients a chance of survival and survival with the brain intact. Without oxygen, the brain starts to die within minutes. CPR pumps blood to the brain, keeping this vital organ alive when the heart has stopped. An automatic defibrillator offers audio, print and graphic instructions in how to use it to shock a heart back into effective pumping, but the classes being offered will let people become familiar with the equipment at a calm time, when a life isn’t on the line. “After receiving training, participants can download a new BCEHS app called PulsePoint. 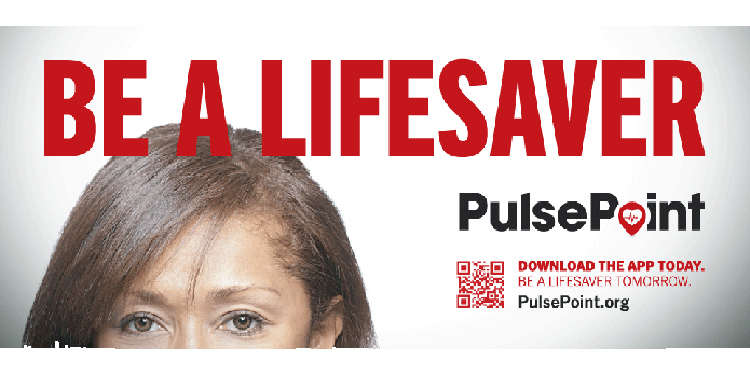 The PulsePoint Respond App alerts you if there is a possible victim of sudden cardiac arrest within 400 metres of your location anywhere in BC. If there is a public access defibrillator nearby, the app will tell you where it is. Once you receive the alert and find the patient, you can perform hands-only CPR, and use the (defibrillator) if available, until professional responders arrive,” says Provincial Health Services Authority and BC Emergency Health Services. The Metro Vancouver CPR teach-in will be at the Robson Square lower level ice rink, 800 Robson St. That’s the north entrance beside the Vancouver Art Gallery. The preregistration for this event is full but there are still drop-in spots available. Just show up early to ensure your spot. The mass CPR lessons are organized by BC Emergency Health Services (BCEHS) paramedics, in partnership with the Ambulance Paramedics of BC CUPE 873, Heart and Stroke Foundation of Canada and St. John's Ambulance.